Let's pause the SuperPhillip Central Best of 2014 Awards festivities with the last review of 2014. It's for a game from a developer that is a showstopper. That developer is the immaculate Nintendo EAD, and their game is Captain Toad: Treasure Tracker. Here's the SPC review. Shigeru Miyamoto once said in a relatively recent interview that Nintendo was planning on creating more spin-off titles in order to fill in the gaps between major Wii U releases. Because hey, third-parties ain't going to do that, am I right? 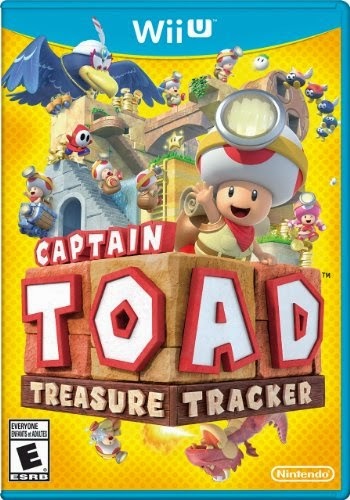 It seems that the first of such titles has released this past month with the launch of Captain Toad: Treasure Tracker, starring the lovable adventurer who debuted in Super Mario Galaxy and his partner in crime Toadette. 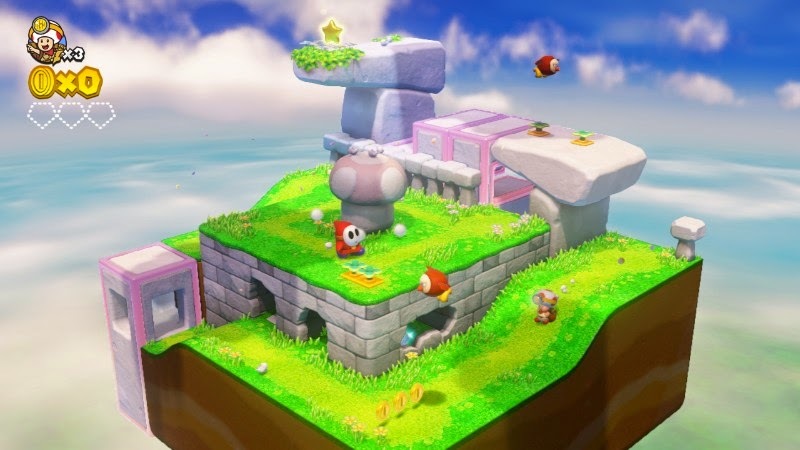 The game is based off of the Captain Toad levels within Super Mario 3D World, only expanded upon greatly for a $40 retail game. The end result is one that exudes charm and adds a new dimension to the Wii U library. 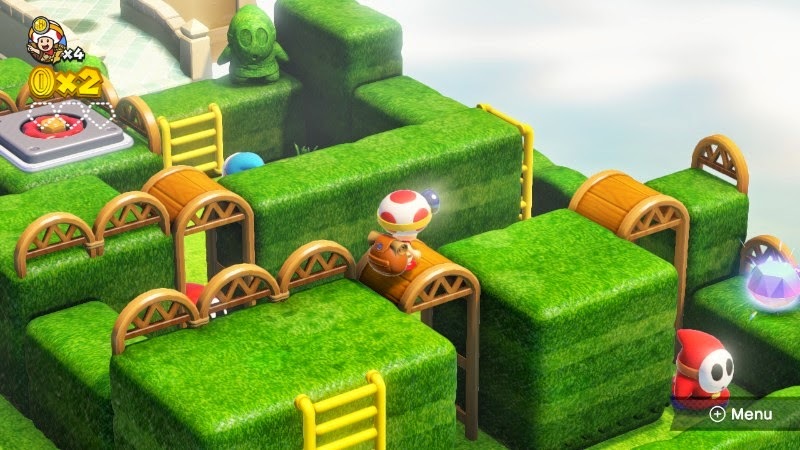 Treasure Tracker begins with a cold open, putting the player, Captain Toad, and Toadette within one of the game's many diorama-inspired levels, albeit this is a very small and simple one. Upon reaching the top of the level where a Power Star stands, the two begin a victory celebration around the prized trinket. However, it's not that much later that the talons of a giant, fierce bird clinch onto the Star. Toadette gets carried away along with the Power Star to which she equally fiercely clings onto for life. It's up to Captain Toad to summon up the courage to rescue Toadette while doing some treasure hunting in the process. Despite the setup of Captain Toad: Treasure Tracker, the game's story isn't all about saving Toadette. In fact, there are three episodes within the game, each with its own particular objective. In the first, Captain Toad must reach Toadette and Wingo, the bird who nabbed the Power Star in the first place. In the second, its Toadette who must do the saving of Captain Toad. 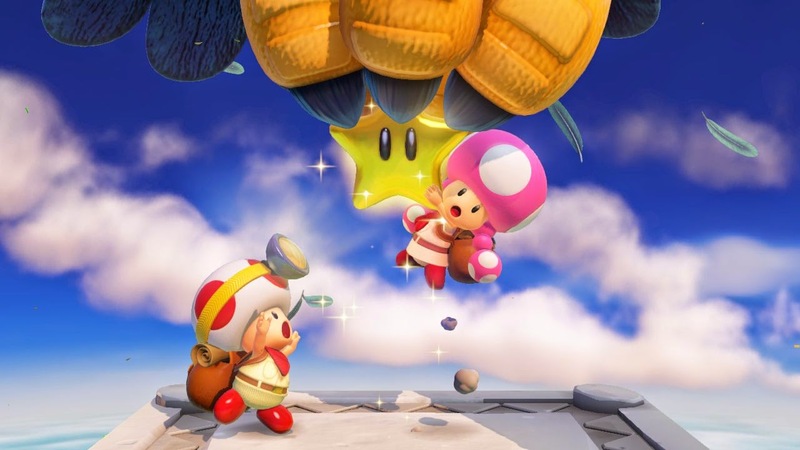 The final episode has Captain Toad and Toadette separated, needing to reach a joint destination. Each episode features more than a dozen-- sometimes two dozen-- levels to play through. Each are pretty much bite-sized adventures that feature the goal of reaching that level's particular Power Star. It's all about how you go about getting there which is the objective of each level. Reaching the Star presents players with a series of miniature puzzles in order to solve to get to their final destination and the prize that awaits. Don't mind Captain Toad, Mr. Shy Guy. Captain Toad and Toadette do not have the ability to jump in Treasure Tracker. This might seem like it closes the door for plenty of interesting gameplay possibilities, but it's actually quite the opposite. 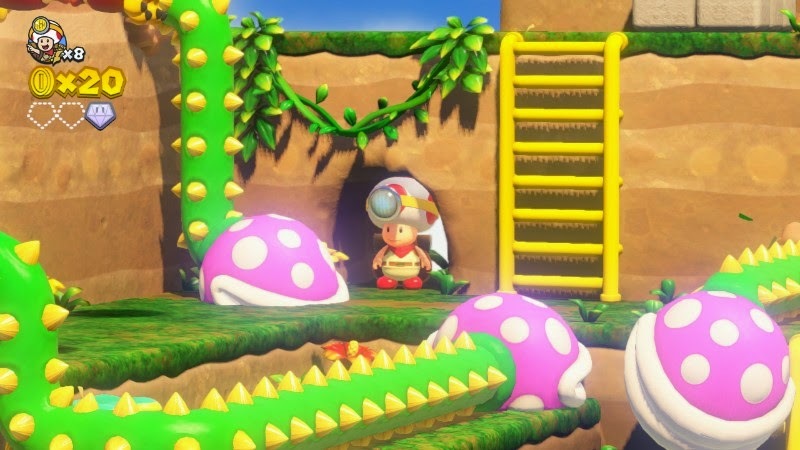 Most of the levels involve you needing to drop down from a higher platform to reach where you need to go, and there are plenty of times where you'll need to manipulate the environment to create paths for Captain Toad and/or Toadette to saunter along. You guys sure know how to give a lady a lift! The camera is a big help in Captain Toad: Treasure Tracker, offering 360 degree movement, and can be maneuvered in pretty much every way except an underside view of a particular level. It can also allow for a relative closeup view of one of the Toads, though there's a glaring omission in that there is no regular zoom function. It's either zoomed all the way out for the player or a closer view of Captain Toad or Toadette. Additionally, the GamePad sports off-TV play, but moving the GamePad at all results in the camera moving with it. This means that playing while laying down becomes more problematic that it should have any right to be. Regardless, despite these very small camera issues that don't take away much from Captain Toad, the camera is otherwise a godsend in the game. Just maneuvering the camera slightly can reveal otherwise impossible to see hidden alcoves filled with coins and other treasure, particularly Super Gems. Toad is absolutely NOT on the menu! Yes, most of the 70+ levels in Captain Toad possess three special Super Gems to collect. Super Gems, like the Green Stars in Super Mario 3D World, open up locked levels that block your progress, so it's a good idea to collect these when you can. A nice thing about collecting these is that even if you die, as long as you don't quit the level, you don't have to nab ones you've already gotten. Of course, you have to finish the level for the game to save your progress of getting all of them. 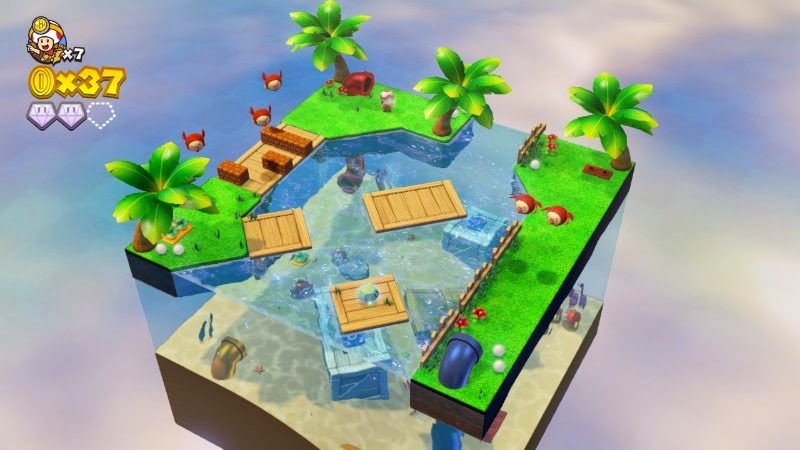 Regardless, the three Super Gems per level not only encourage extensive exploration of each level, but they also add to the longevity of Captain Toad: Treasure Tracker. Beat the cold weather with a tropical retreat! Furthermore, each level has a secondary objective apart from obtaining the Power Star. This varies each level, and the objective only reveals itself after the level's Power Star is initially acquired (though you can complete the objective beforehand and the game will count it anyway). For example, some levels require you to find a hidden gold mushroom, while others force you not to take a hit. These are fun little objectives that can completely change the way you would ordinarily play a level. Not really fighting fairly, are they? Even after the game is beaten, there's plenty to do. Outside of acquiring every Super Gem and completing every bonus objective each level has, several special bonus levels unlock. 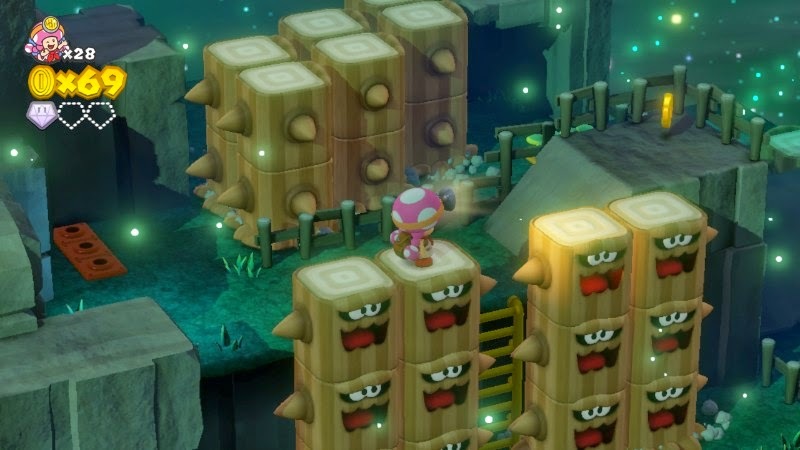 Such levels put Captain Toad into the levels of Super Mario 3D World with the goal of obtaining a Green Star, or better yet, they pit Captain Toad to survive a fifty floor gauntlet for a very special prize. My point here is that for a $40 game with plenty of replay value, the approximate 15 hour play time you'll spend with Treasure Tracker makes the game worth owning. The Wii U GamePad is used in Captain Toad: Treasure Tracker, and while the usage is full of gimmickry, I'm pleased that Nintendo at least tried to make the GamePad have some worthwhile use all the same. 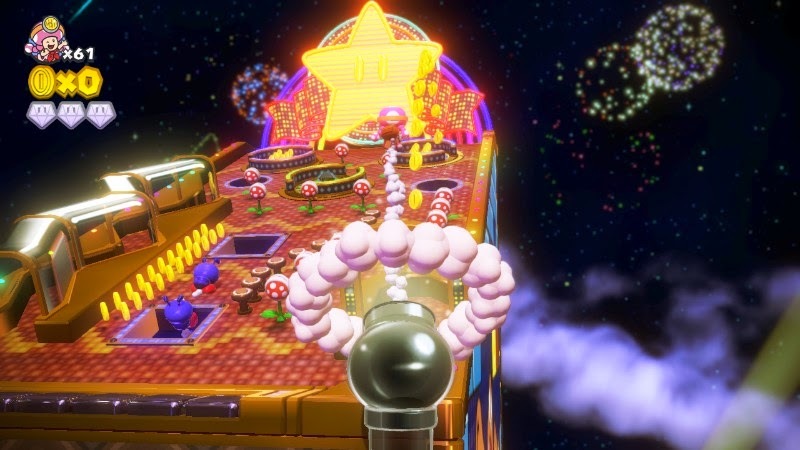 Aside from moving platforms up and down or side to side with a tap of the screen, there are special mine cart levels where you use the GamePad to aim your veggie cannon as you roll down the track. Still, there are very lame and unnecessary GamePad uses. I'm primarily thinking about blowing into the microphone of the controller in order to move certain platforms, an artifact of Super Mario 3D World. 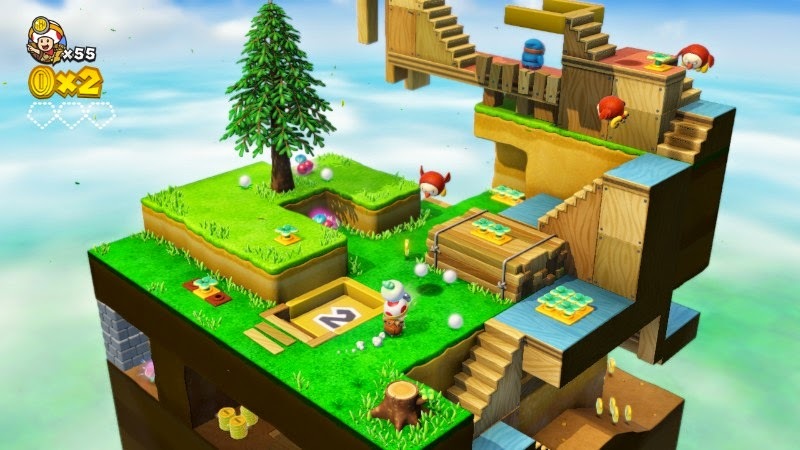 Using the already beautiful engine from said game, Captain Toad: Treasure Tracker is a gorgeous title, teeming with luxurious environmental variety, wonderful animation, and plenty of polish. It's a series of colorful cartoon worlds come to life, and I have a hard time imagining Captain Toad and friends looking much better on the Wii U hardware. That's definitely no slight to Nintendo's system, by the way. This trip to the pachinko table starts with a bang. Sound-wise, the grunts and hums of Captain Toad and Toadette are simply adorable, much like the characters themselves, and the music features several new and remixed themes. While there's more remixed stuff than new, I'm glad that Nintendo didn't just rip the music directly from Super Mario 3D World and place it in Treasure Tracker. 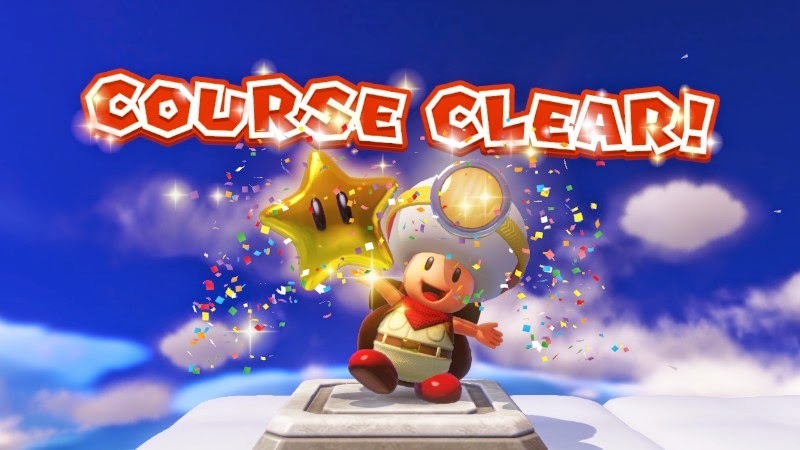 Although the game suffers from some issues in its camera control and lack of a quick restart option in levels, Captain Toad: Treasure Tracker is an unexpected gem in the Wii U library. Then again, how could I ever even think about questioning a game which is made by Nintendo EAD? That studio has proven time and time again just how masterful they are at creating fun, engaging games. 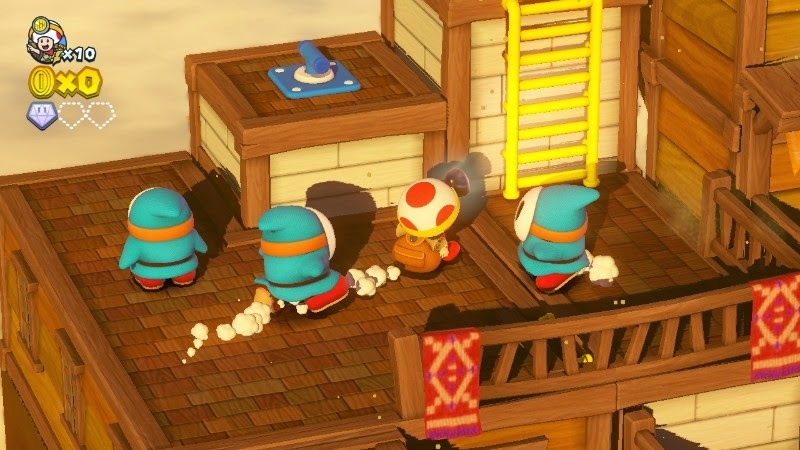 If you're looking for a game that oozes with personality, adorable characters, entertaining puzzles and levels, and has great value, Captain Toad: Treasure Tracker is the prize you seek. No need to hunt for this one. Just head to your local video game retailer or buy it on the Nintendo eShop today.